Today I went with Shawn and two of his friends to Cedar Point for another day of fun at the park. On the way back home I drove past two unusual sights. 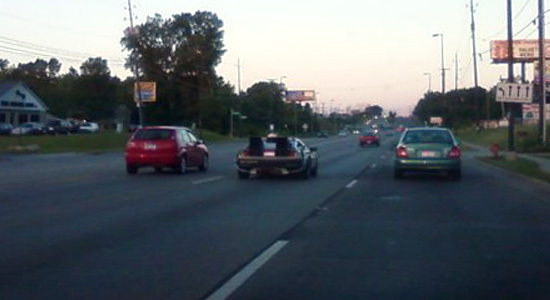 I was driving along Morse Road in Columbus when Dr. Emmett Brown and Marty McFly past me. Their DeLorean was complete in every detail, including a Mr. Fusion. 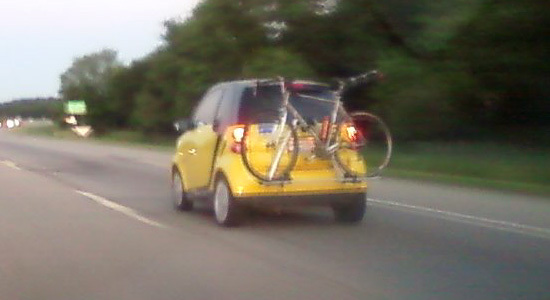 Just a short time later I was on Route 33 when I spotted this Smart Car. The bike on the back seems larger than the car itself.